WordPress Provides us different types of themes like a business theme, corporate theme, medical theme, beautySpa theme, fashion theme, parallax theme, restaurant theme, one-page theme etc lots of the themes, in which One Page WordPress Theme has become really famous today. One page site is about highlighting your site in just one page giving the viewers most of the information they are seeking right from the home page of the site. It is probably so because it lets you present complete information about your site in a single page. One page themes helps you to showcase all your site contents like services, portfolio, team members, blog, contact page, about us page and any kind of stuffs that your site is about in just one page without any reloading of your site or page. You will just click on menu items to swiftly move to respective content. It will have other pages depends upon the website owner to keep the other pages or not. Now, I think you got the idea about the one-page theme. I have some collection of Free One Page WordPress Theme these will be greatly helpful for you. These themes are awesome. I think these will be greatly helpful for you. WPML, Photo Gallery Grid, Meta Slider, SiteOrigin Page Builder, JetPack compatible and SEO friendly. You can use it for your business / startup shop, agency, corporate website, or photography portfolio. 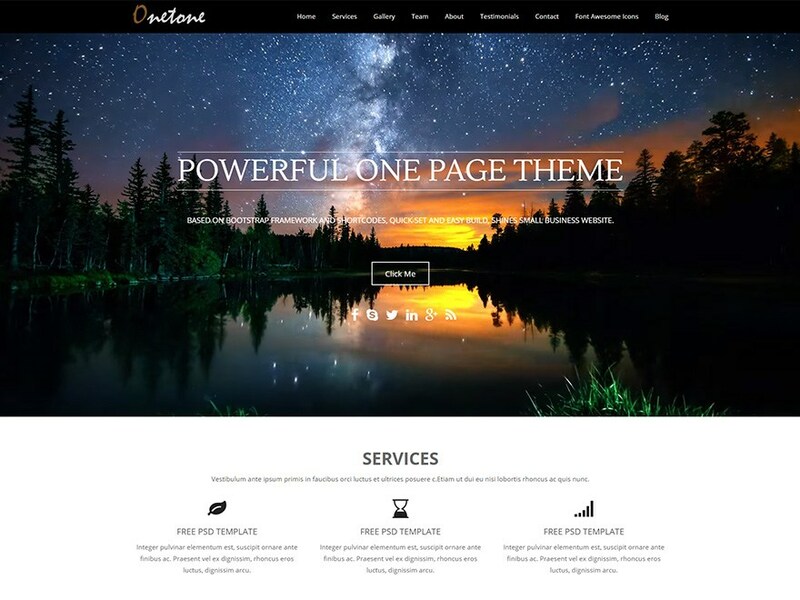 OnePress is an outstanding creative and flexible WordPress one page theme well suited for a business website, portfolio, digital agency, product showcase and everyone else who appreciate good design. The theme overall is an elegant and classic one, with the latest version of WooCommerce. 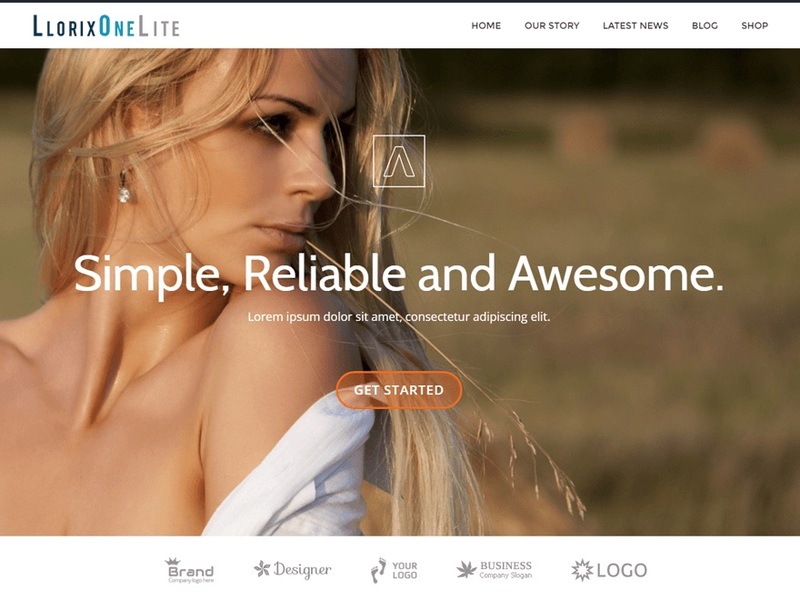 Onetone is a one-page business theme based on Bootstrap framework and coded with HTML5/CSS3. The basic sections designed for the business purpose have already been built for you, such as services, about, gallery, clients, etc. There’re lots of features such as changing the background, parallax scrolling background, video background, Font Awesome Icons, uploading logo and favicon,adding custom CSS and so on. The theme is also responsive, clean, and SEO optimized. Azera Shop is a well designed free WooCommerce WordPress theme, perfect for building a one-page online store. The flat and simple design based on the bootstrap template can work great for any business / startup, blog or photography site. 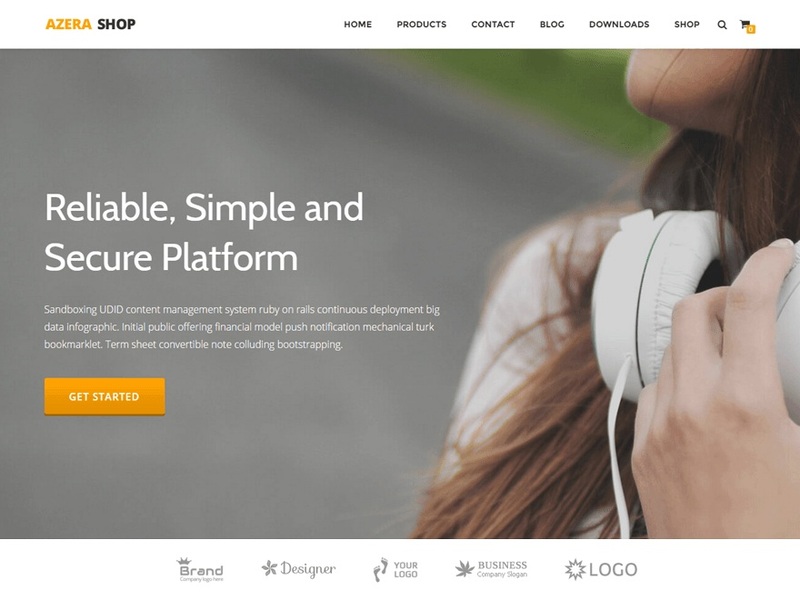 Azera Shop is e-commerce ( Woo Commerce ) Compatible, WPML, RTL, Photo Gallery Grid, Meta Slider, SiteOrigin Page Builder, SEO Friendly and with parallax effect. 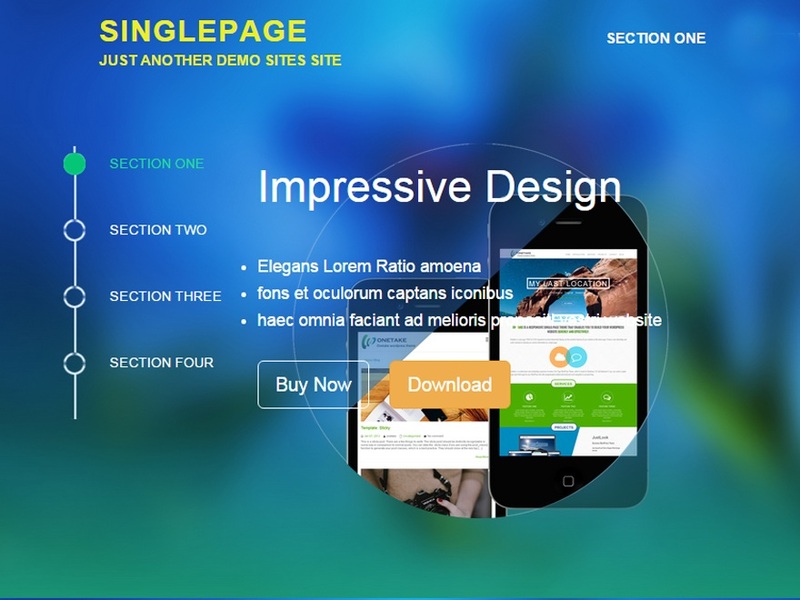 SinglePage is a one page responsive WordPress theme built using the Twitter Bootstrap framework. Choose from four predefined sections and build the homepage that best suits your company, you can sort the section order by simply drag & drop with the fantastic control panel. 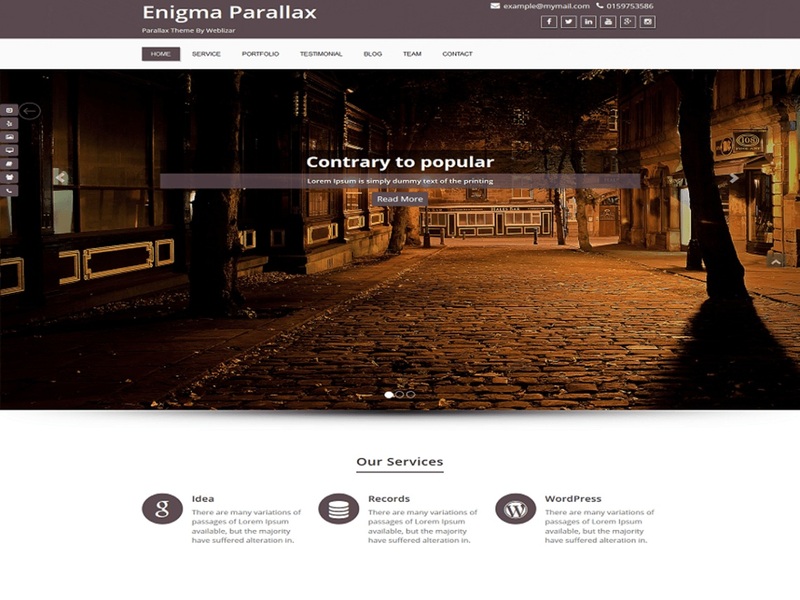 Each of the homepage sections can have a parallax background image and its own set of colors. 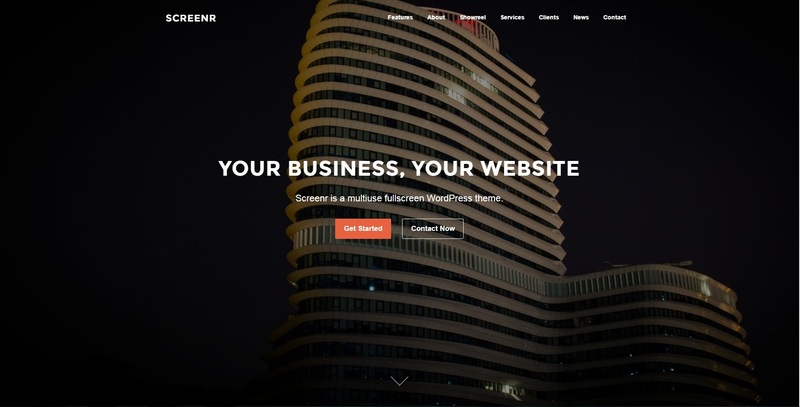 ScrollMe A horizontal scrolling WordPress Themes lets you navigate your website horizontally. 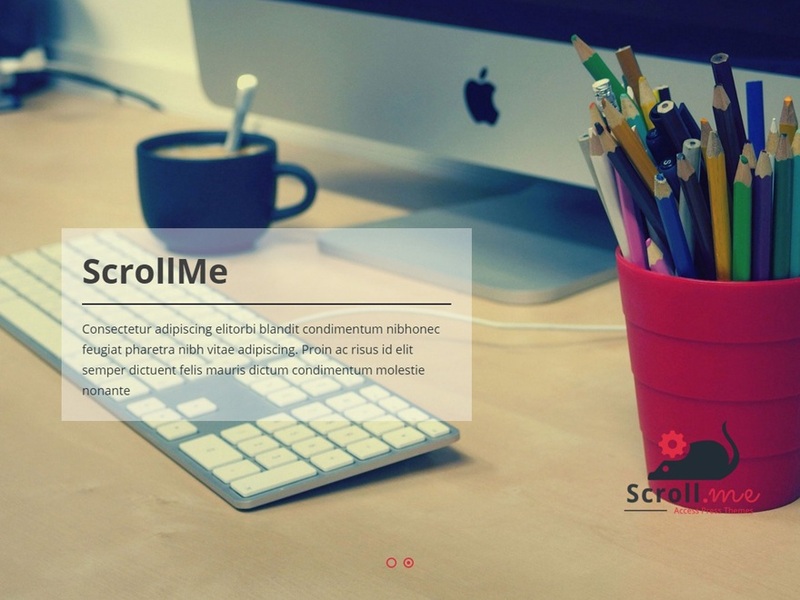 ScrollMe is a multipurpose theme and is perfect for business, web agency, personal blog, portfolio , photography, magazine, parallax one page and freelancer. ScrollMe has powerful features and provides an easier way to configure the front page with the live preview from a customizer panel. The theme is Polylang compatible, Woo Commerce compatible, Translation Ready, SEO Friendly, bbPress and works with all other major plugins as well. 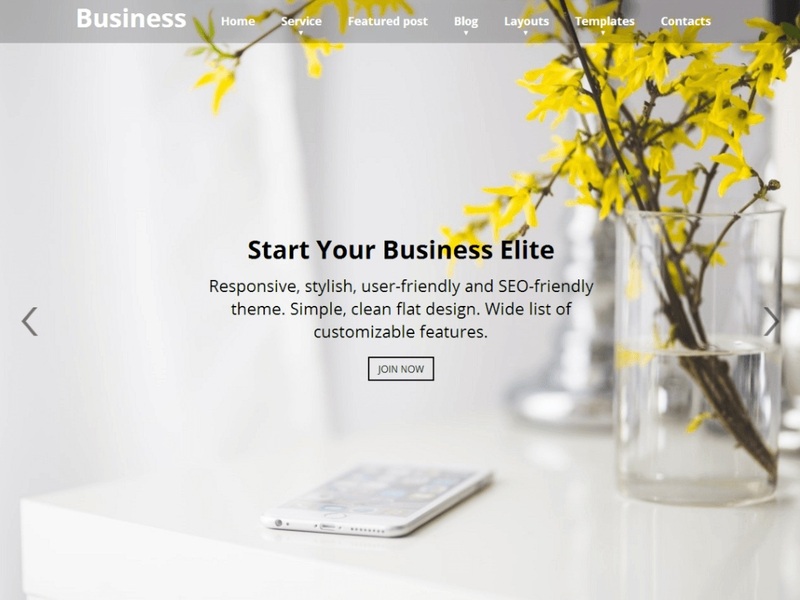 Business Elite is a fully responsive, SEO-friendly WordPress business theme with the clean design to promote your corporate identity and engage more clients. It’s a one page WordPress theme using page scroll and parallax technology to make the site more professional. 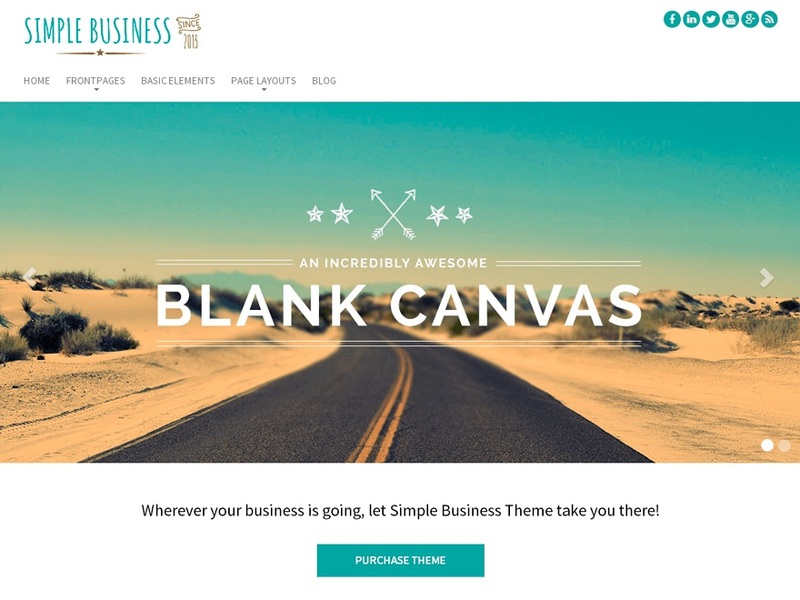 This WordPress business theme is compatible with most of the top WordPress plugins, including JetPack, Contact Form 7/ Form Maker, Photo Gallery, BuddyPress, bbPress, Woocommerce etc. It is multilingual ready (WPML) and child theme ready etc. 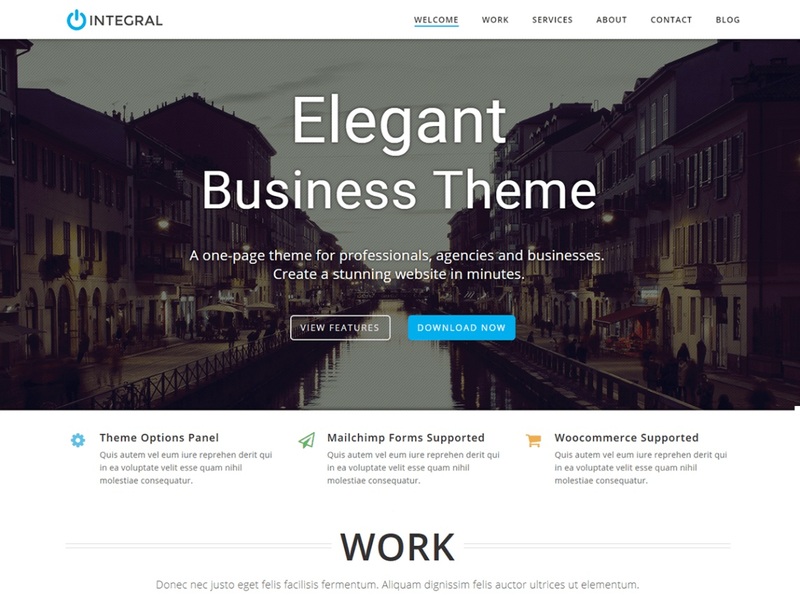 Integral is a free one page WordPress theme for professionals, agencies, and businesses. Its strength lies in displaying content on a single page in a simple and elegant manner. It boasts a rich color scheme with light and dark sections and a clean, minimal, modern design with smooth parallax effect. Integrally is perfect for the freelancer, agency, corporate, small business, personal, portfolio, blog, real estate, lawyer, and photography websites. Simple Business WP is a sleek and feature-rich one-page template, the Simple Business WordPress Theme offers multiple page layouts and options, FontAwesome icons, responsive design, hundreds of Google Fonts, and more! This is the ultimate theme to build your company’s website on. Onetake is a one page HTML5 & CSS3 responsive business theme that displays all the essential features of your website on the home page. It has a very interesting and useful concept by showing you concise information on a single page and having there everything you need for that website and nothing more which is really good if you don’t want to waste time and be effective instead. 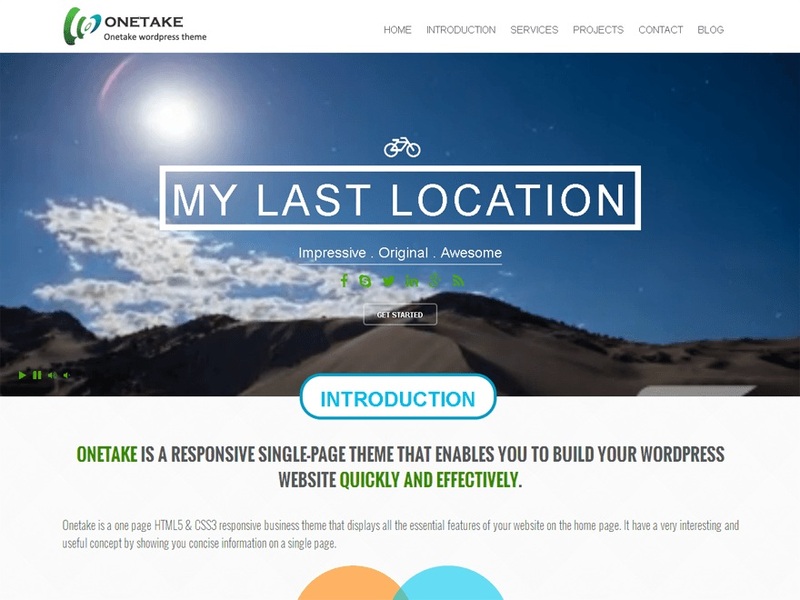 Onetake is a professional and outstanding responsive business One Page WordPress Theme. thanks for reading this article. Hope so these will be helpful for you to find a good one-page theme. Let us know you in the comments and remark below. Now I can select the best theme for my wordpress. I’m so thankful that I found this one. Your welcome Mario Sebastian and Thanks for appreciating this blog post.